This is Liberty’s first Valentine’s Day so of COURSE I had to make her something. She’s either going to love that I will always make her stuff or grow to hate it. Either way, I’ll probably still make her stuff. 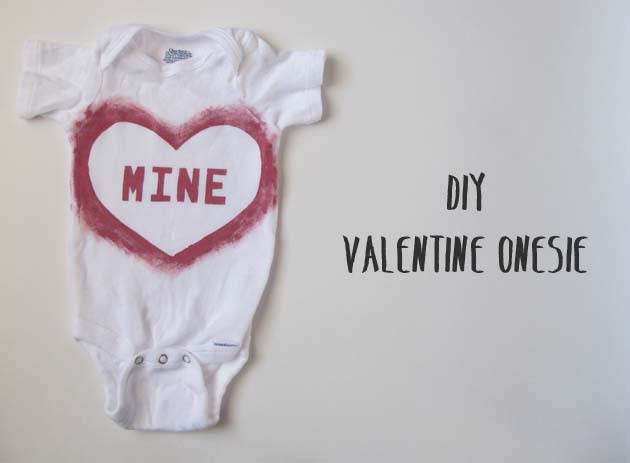 This onesie is super easy to make & was easy on the wallet. The most expensive thing was the freezer paper of all things. Long story short, I checked 3 different stores and had to pay $15 for a roll. But I’ll never need to buy freezer paper for the rest of my life. I also wanted to put something on there that wasn’t a typical V-day phrase. I liked just having “Mine” written on there. Simple & sweet. 1. 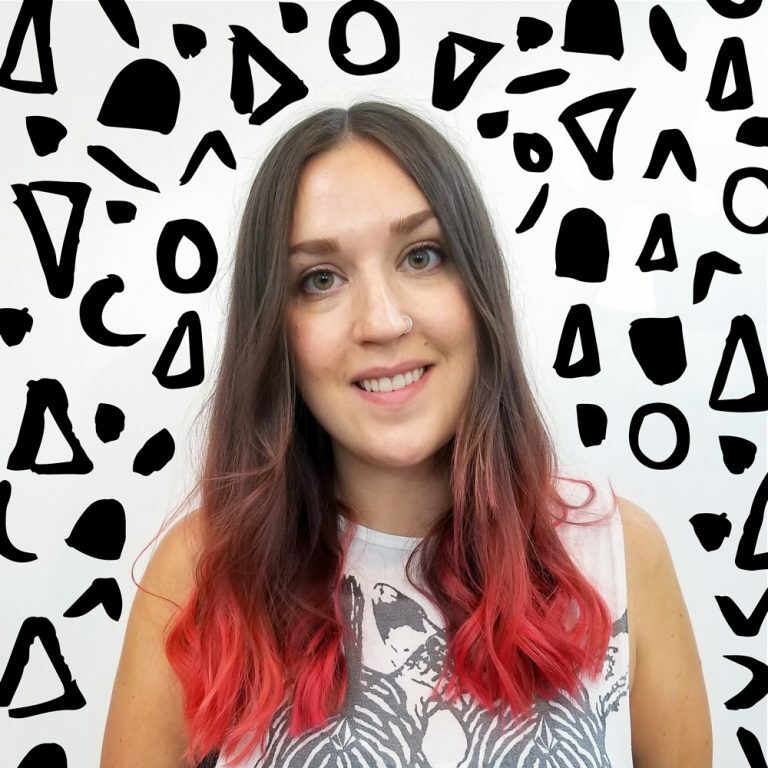 Create the design you want to put on the shirt. I cut out a heart and then traced on a font I used called Old Block. Next I traced this onto freezer paper, wax side down. 2. Carefully cut out the stencil on the freezer paper. I used a craft knife & ruler to cut out my lettering to make sure it was straight. 3. 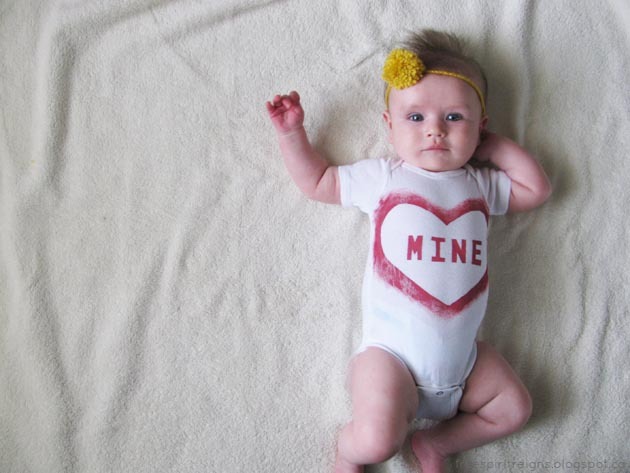 After you’ve cut out your awesome design, iron it on to your onesie wherever you’d like it to be. The freezer paper is kind of forgiving so if you don’t like the placement, you can remove it and iron it on again. 4. Next, put a piece of cardboard or cardstock inside your onesie. 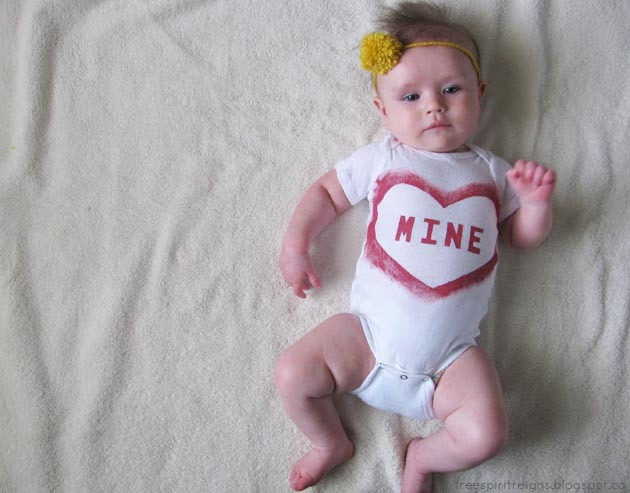 Or you’ll end up with a mirror design on the back of your onesie. 5. Using your sponge paint brush (a dauber or pouncer, whatever they’re called, would be ideal), go around your template with your choice of fabric paint sponging it on. Make sure you have an even layer of paint on your image. I made sure to saturate the letters to get a crisp, clean look. I faded out around the edge by going heavy around the edge of the template and just working my way outwards without re-dipping my brush in the paint. 6. Let your onesie dry for 30-60 minutes before you peel off your template. Let it dry another 24-48 hours after taking off the template to ensure the paint is completely dry. 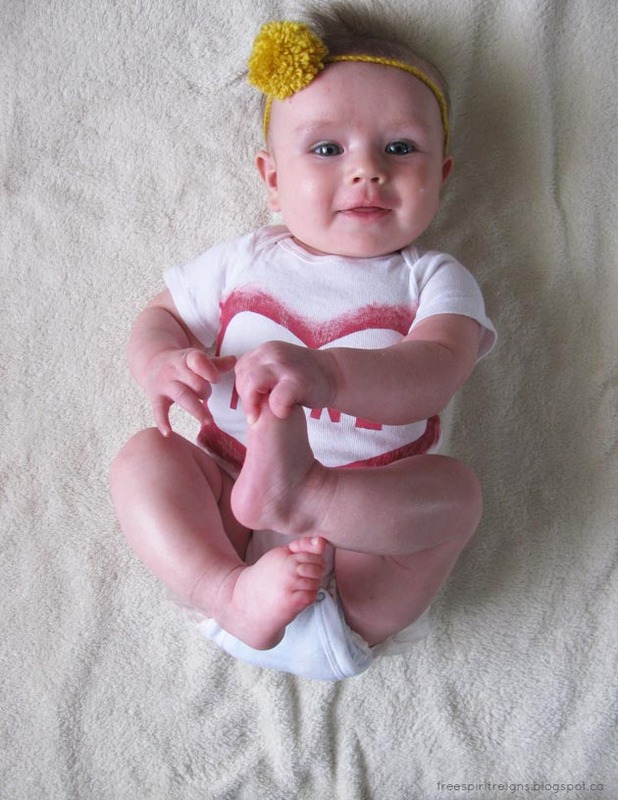 Then dress your cute baby in the cute onesie.